For the first time you can now easily check online the boundary between public and private land on the coast, at least in some areas. This is a small step in the right direction if it makes buying near the coast a little less risky. There are several booby-traps awaiting house-hunters in Spain, one of which is the treacherous Ley de Costas (Coastal Law) of 1988 which nationalised the coastline, creating a boundary between public and private land known as the Deslinde del Dominio Público Marítimo Terrestre (DDPMT). Buy on the wrong side of this line by mistake, as a bunch of Britons do each year, and you find you don’t actually own anything, other than a concession of use (if you are lucky). So if you plan to buy anywhere near the seafront it’s vital to know where the boundary lies, assuming there is a boundary (the law may have been passed in ’88, but large parts of the coast still haven’t been done). Don’t even think about buying near the beach in places that don’t yet have a boundary. Fortunately, you can now check the boundary online, at least for some popular destinations like The Balearics and Andalucia’s Granada province (Costa Tropical). Not much of the coast is covered, but it’s a start. You will find a link to the map below. The maps are published by the Environmental Ministry’s office for coastal sustainability (Dirección General de Sotenibilidad de la Costa y del Mar) with plans to extend the areas covered over time. The lurid green line you will see shows the DDPMT, and the yellow line further inland shows the zone of special protection where you can own property, but with serious restrictions. 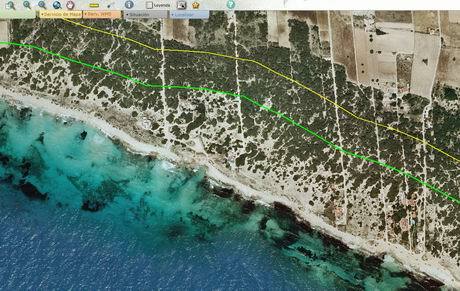 In the image above you can clearly see properties in Formentera that are on the wrong side of the green line. To be on the safe side don’t even buy inside the yellow line. I’ve written several articles here and in the Sunday Times about this law and its dismal failure to protect the environment whilst pinching the private property of thousands, if not tens of thousands of individuals, many of them British, all without compensation. 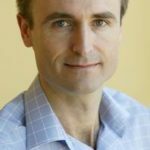 For more background see this briefing on the Ley de Costas – Spanish Coastal Law and these other articles.